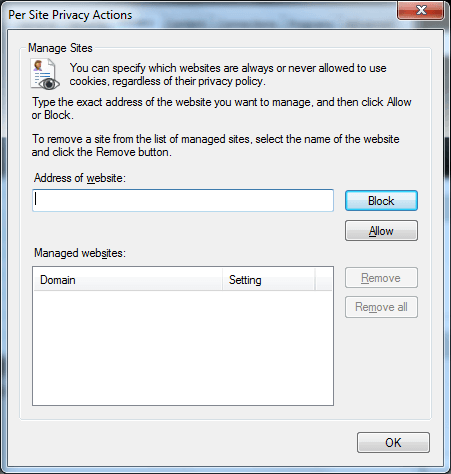 You can choose to enable or block certain types of cookies without specifying websites. This is a great option if you want to block questionable cookies but don’t want to add URLs one by one to a block or allow list. Start by opening an Internet Explorer window. 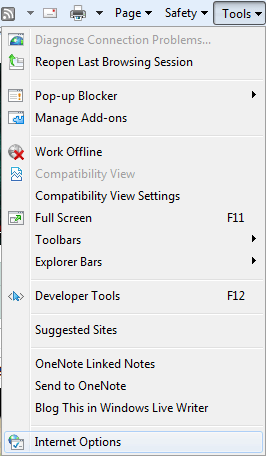 Select Tools and choose Internet Options. Select the Privacy tab. Use the slider under Settings to choose your cookie options. A description of what is and isn’t allowed is provided with each option so you understand the settings. For most users, Medium is the best option. 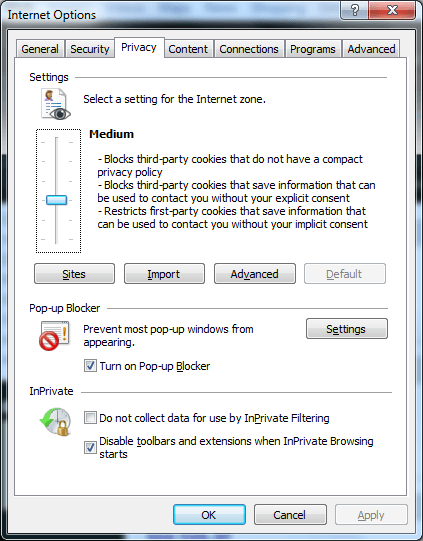 It allows cookies from most trusted sites, while blocking suspicious cookies. For more control, press the Advanced button. You can then select exactly what happens with first and third party cookies. 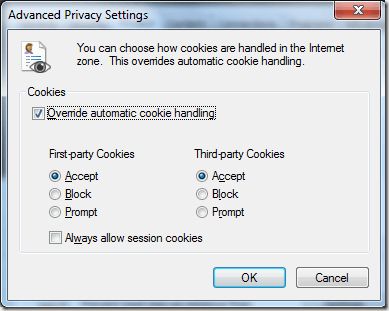 Check the Override automatic cookie handling box to enable the options. If you want to be notified when cookies are required by a site, choose Prompt. You then have full control over cookies. 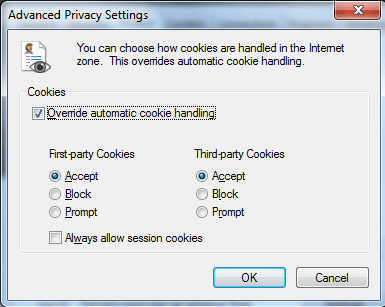 For cookies that are for a specific session only, such as logging into a financial institution, check the Always allow session cookies. Press OK to save your settings. 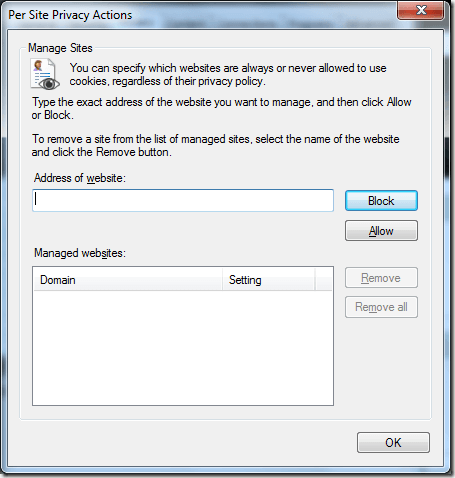 If you have certain sites you want to enable or block cookies for, you can do so by creating a block or allow list. 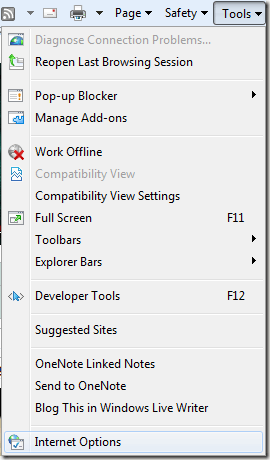 Open Internet Explorer, select Tools and choose Internet Options. Select the Privacy tab. Choose your privacy settings with the slider bar. Under the slider bar, press the Sites button. Enter the full address of the site you want to block or allow. Press either Block or Allow. You can manage both sets of sites from the same window to make life easier. When you’re finished, press OK. Please note that you can also remove a site from the list at any time. 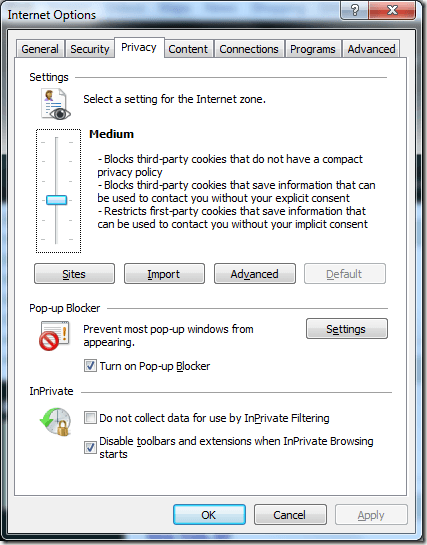 Sites not listed follow the rules set in your standard privacy settings for Internet Explorer. If you have any problems loading a site after adding it to the block list, remove it. This means the site must have cookies enabled in order to work properly. For sites requiring you to log in, you may not receive an error message. Instead, logging in may result in a blank screen or an endless cycle of login screens.